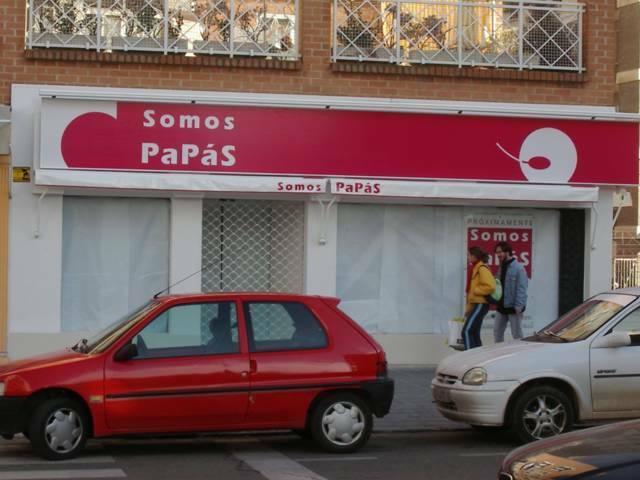 …just look at the logo of this soon-to-be-opened baby/children’s store in Guadalajara, Spain! At first I thought, “Looks like a mouse on a mouse pad…must be a computer shop.” Then I read the name more closely. 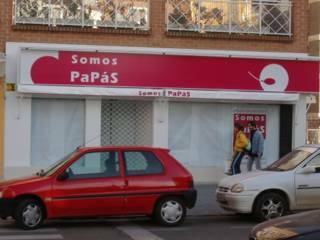 “Somos Papás” translates to “We Are Parents.” Then it dawned on me. That’s not a mouse! That’s a sperm cell fertilizing an egg!!! Now…I don’t know about you folks, but I’d be reluctant to go shopping for my two year old daughter in a store with this logo. What’s next? Buy 50€ worth of diapers and get a free lap dance?! This must accompany the infamous Prawnography photo in the Virtual Tapas Bar Marketing Hall of Shame. Wel, well, well, I see Guadalajara is a very modern place. More than I thought. You do not understand that this children store is for gay/straight/couples. A good move: open beside another one with the logo "Marents". Or even better open it in front of the Arzobispado (the Palace where the Bishop lives). I let the logo to your imagination. Only a question. Is this store suitable only for children conceived without sin? No information or whatsoever? Please get the info. I can´t wait.